Winter is the ideal time to give your roses some attention. Tackle the task of pruning your rose bushes this June or July! Prune them back to 1/3 of the original plant to allow more exposure to sunlight, encourage new growth and reduce disease! 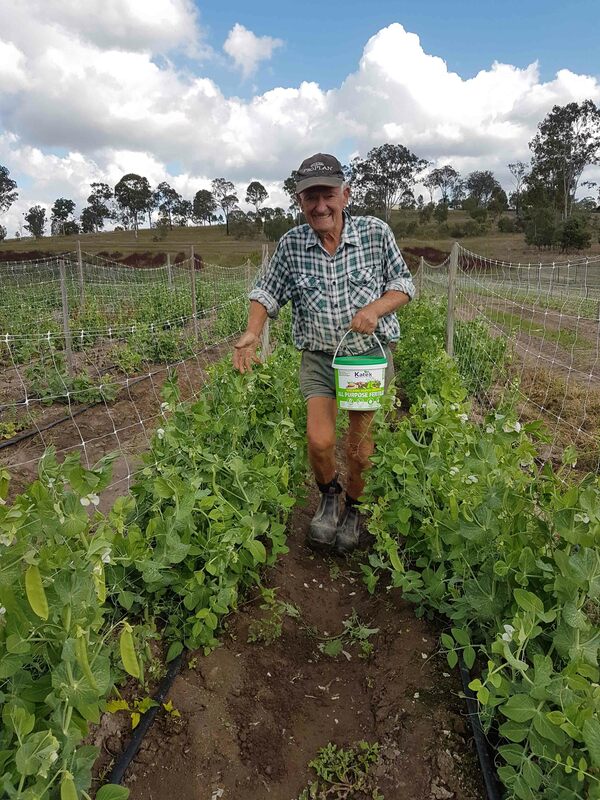 If you’re in a colder climate of Australia hold off a hard prune until early August to avoid frosts killing off the new shoots, before they’ve had a chance to sprout! 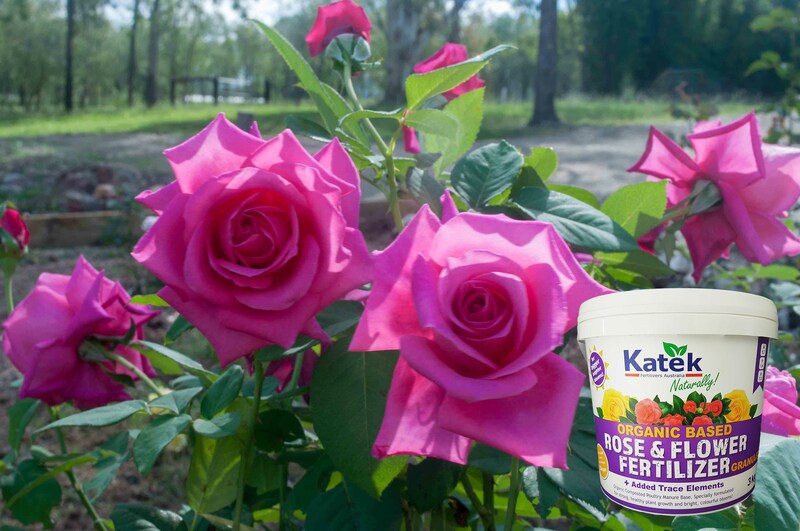 Three weeks after your winter prune, we recommend fertilizing your roses with our NEW Rose and Flower Fertilizer granules and continue to apply this every 6 weeks. If you want even more out of your blooms in the next season, apply a good dose of our NEW Neptune Liquid Seaweed every 3 weeks and mulch around your rose bushes with our poultry manure enhanced Not Just Mulch. Your Rose bushes will be healthy, full of new growth and an abundance of bright, colourful blooms come Spring! 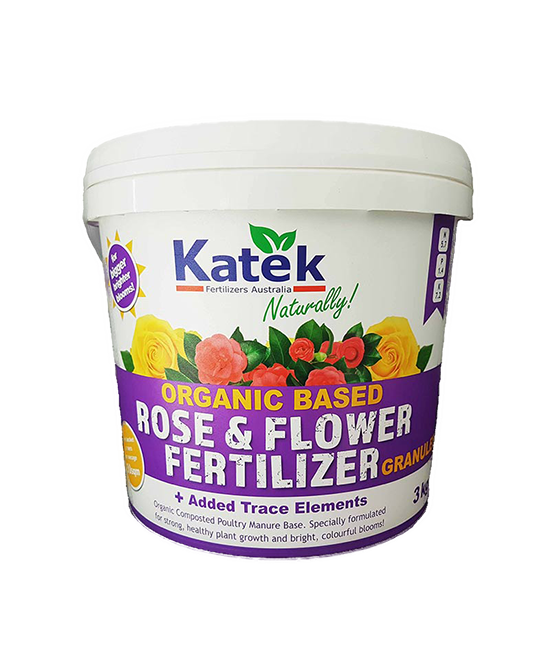 Katek Rose & Flower Fertilizer Granules! 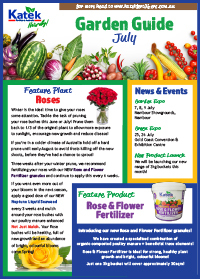 Introducing our new Rose and Flower Fertilizer granules! We have created a specialised combination of organic composted poultry manure + beneficial trace elements! Rose & Flower Fertilizer is ideal for strong, healthy plant growth and bright, colourful blooms! Just one 3kg bucket will cover approximately 30sqm! 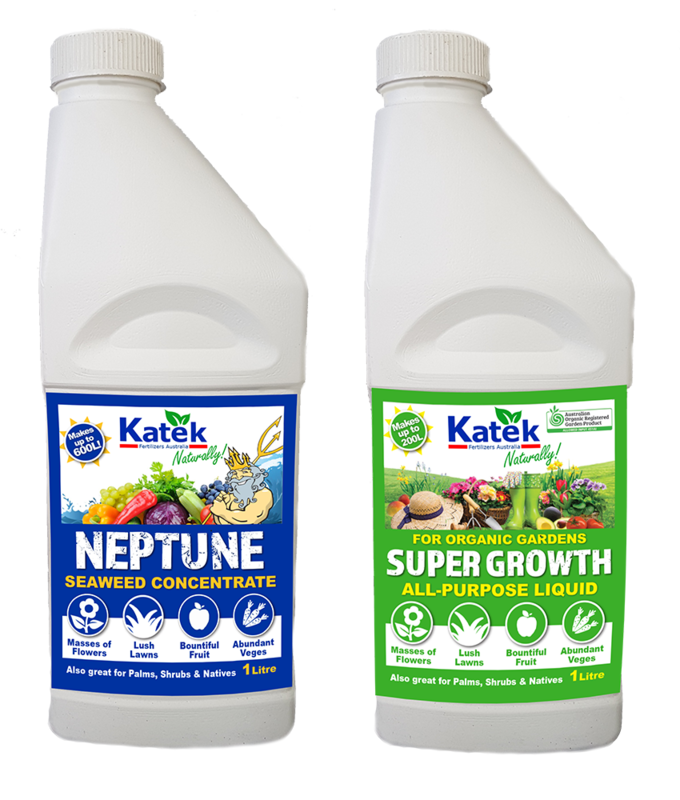 Fertilise winter growing vegetables mid-morning with our NEW Katek Super Growth All Purpose Liquid Fertilizer! Reduce frost injury by gently hosing over plants first thing in the morning. Don’t remove frost-damaged sections of plants to provide protection to the still growing plants underneath.